Blair Fox, a native of Santa Barbara, started his winemaking career in Santa Barbara County after his graduation from U.C. Davis with a degree in Viticulture and Enology. At U.C. Davis he found he had a passion for Syrah and other Rhone varietal wines. Upon his return to Santa Barbara he found Santa Barbara County to be widely planted in Syrah, Viognier and other Rhone varietals and gaining a significant amount of praise and recognition from wine writers and consumers alike. It was a natural fit. 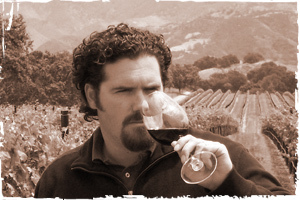 Blair was immediately employed as Head Winemaker for a small family run winery in the Santa Ynez Valley. At this time, he and his wife Sarah decided to create Blair's ultra-boutique eponymous label, Blair Fox Cellars.